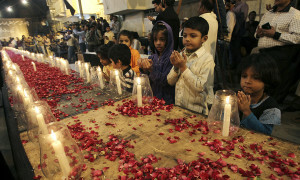 Pakistani Children praying for the innocent victims. 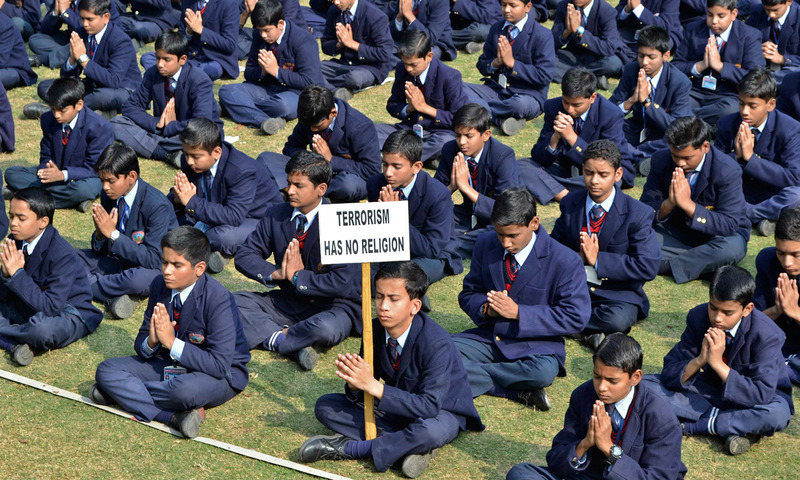 Indian Children praying for the innocent victims. 132 innocent children were killed by the Taliban terrorists in Peshawar, Pakistan on December 16, 2014 mercilessly. Their parents send them to school in the morning to learn but received them with bullet holes in their heads. Now, they have buried them in shrouds instead of ever seeing them again in the school uniform. How could one imagine the grief these parents and families are going through? We have known for a long time that the “Taliban,” “ISIS” and all other terrorist organizations are “monsters” and cold blooded “murderers” of innocent people. They are cowards that hide behind the cloak of religion to disguise and legitimize their evil ways. So, we ask these evildoers, what part of Islam can you quote to justify your horrible act of slaughtering of these young innocent children? Have you no shame? We sincerely hope that Pakistani politicians and the Military can unite to get rid of these evildoers? These terrorists have killed over 50,000 Pakistanis to date and there is a mix bag of confusion, resolve and apologies among the decision makers. One can only hope that the tide will finally turn, otherwise the mayhem will continue!